The Sinking Cays, Turks and Caicos. The smallest of the cays found on the eastern side of the Princess Alexandra National Park, the Sinking Cays are three tiny limestone ironshore rocks. The largest of the Sinking Cays covers about one third of an acre (.1 ha) and has a little clump of weather beaten coastal vegetation. 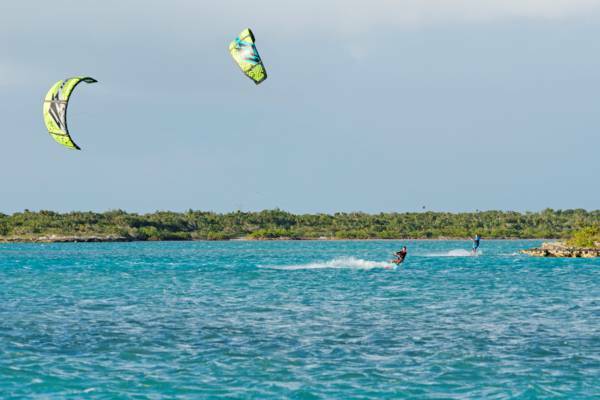 Kiteboarding at the Sinking Cays, Turks and Caicos.